Denon DJ has announced the release of firmware update version 1011 for the DN-MC6000 as part of their on-going effort to improve products in response to customer feedback. The update includes slider, fader and volume response time improvements when in internal mixer mode as well as improvements to the Mic ducking depth and ducking release time which is now faster and in line with the new MC3000 and the default settings on the DN-X1600. • Improved MIDI transmission in INT_MIX mode for all Slider/Fader/Volume request. • Modified Mic ducking Specification. • Improved pitch slider curve is linear. • Improved touch sensitivity on both decks are set to default setting automatically after updating. • Fixed random software/hardware freeze over MIDI communication. • Improved the function to choose Jog Interval Time (3ms-20ms). - Add Sample Deck control function. - Add Loop Recorder control function. 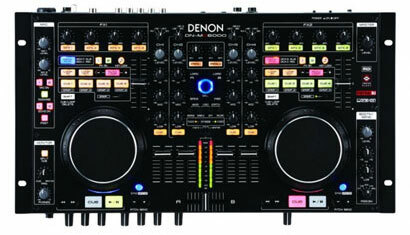 The Denon DN-MC6000 DJ controller features real-time channel matrix operation, slim table top design, solid steel chassis construction and quality sound.